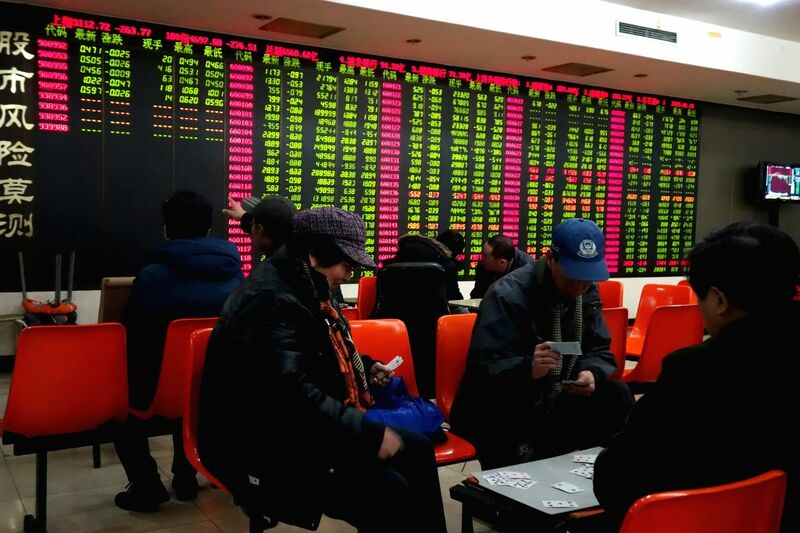 BEIJING, Jan. 19, 2015 - Investors play cards at a trading hall of a securities firm in Beijing, capital of China, Jan. 19, 2015. Chinese shares dived on Monday, with the key Shanghai index tumbling the most in more than six years. The benchmark Shanghai Composite Index plummeted 7.7 percent to end at 3,116.35 points, the steepest daily fall since June 2008. The Shenzhen Component Index sank 6.61 percent to end at 10,770.93 points.